Recently Lava launched its new Lava iris X8 which have some awesome features that one smartphone must have. Now it’s time to say goodbye to all the frozen screens and hanging phones because it’s time to buy Lava Iris X8 online with its octa-core processor and 2 GB RAM, the Lava Iris X8 does multi tasking much better than other smartphones of this range. Let’s have a quick Lava iris X8 review below. Some advanced features of Lava iris X8 are Android Kit Kat v4.4 O.S. with expected upgrade to Android Lollipop, and a 1.4 GHz octa-core processor with 2 GB RAM. It also has an internal memory of 16 GB that assures its users to a sizeable space for their favorite apps and content. Bluetooth is v4.0. Lava Iris X8 battery is of 2500 mAh. Lava iris X8 has an 8 MP auto focus camera with a resolution of 3264 x 2448 pixels, BSI 3 Sensor, LED flash, geo-tagging with full HD video recording and a 3 MP secondary camera. Lava iris X8 screen size is 5.00 inch with a resolution of 720 x 1280 pixel protected by a Dragon Trail Glass. After detailed Lava Iris x8 specifications and review, overall conclusion is that this phone is a value for money device. 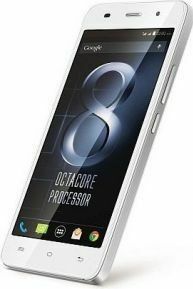 You can buy Lava Iris x8 online on various e-commerce sites. Exclusiveness about this phone is its large HD screen with 720 x 1280 resolutions and 2 GB RAM. Lava Iris X8 price in India is expected to be around 8,999. Really nice phone with nice camera. Good battery. Good screen resolution. All over nice in 2 GB RAM. its not good phone as company say.